Many plants thrive in Louisiana's climate, and the plum tree is no exception. Although the tree tends to do better in northern Louisiana, due to its chilling requirements, many gardeners in the deep south have great success growing plums. The Japanese plum (Prunus salicina) is the primary variety grown in Louisiana. Agriculturists with Louisiana State University also suggest the "AU-Cherry" or "Methley" varieties. They are self-pollinating, meaning you won't have to grow more than one plum tree to produce fruit. Bare-root plum trees can be planted between November and February in Louisiana. Plant container-grown trees February through May. Choose a planting location that receives full sun all day, and is not too close to other trees. 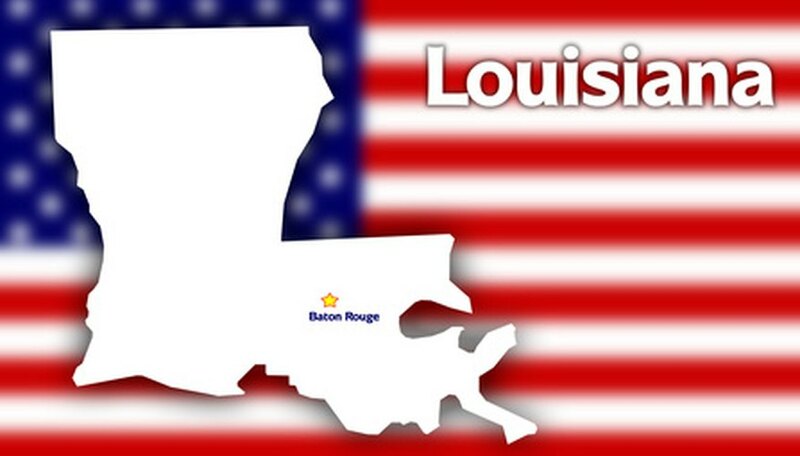 In northern Louisiana, choose a location on the south side of the home, where it will be better protected. Dig a 4-foot-square hole, 2 feet deep. In northwest and some parts of eastern Louisiana, the soil is particularly low in nutrients. Amend it with organic material. Mix 4 inches of well-rotted manure or compost into the soil that you removed when digging the hole. Fill the hole with the amended soil. Dig the planting hole to the same depth as the pot in which the plum tree is currently growing, and twice the width. If you are planting a bare-rot tree,look for the ring around the lower portion of the trunk that indicates the depth at which it has been growing. Place the roots of the tree in the hole and check that the bud graft (the bump toward the bottom of the trunk where the tree was grafted) is at least 2 inches above the soil. You may have to add or remove soil to get it to the correct level. Backfill the hole halfway with soil, and fill the hole with water. When the water drains, fill the hole with soil. Using your feet, tamp around the base of the tree to remove any air pockets. Dive a stake 2 feet into the ground, 6 inches from the trunk of the tree. Tie the tree to the stake using strips of fabric, nylon stocking or other soft material, at 1-foot intervals. Don’t use wire or twine to tie the tree as it may cut into the trunk as the tree grows. Water the plum tree until the water puddles. Depending on how dry the weather is in your area of Louisiana, you may need to water the tree several times a week to maintain the correct moisture levels for the young tree. Pour a 4-inch layer of mulch around the tree, keeping it 3 inches from the trunk. The mulch will cool the soil during the heat of the Louisiana summer. It also helps conserve moisture.